Let our staff customize a cleaning service program to suit your individual needs and your budget. Whether you require daily, weekly or monthly service, or just one-time only service, you can count on Smitty’s Janitorial for top-notch cleaning at unbeatable rates. 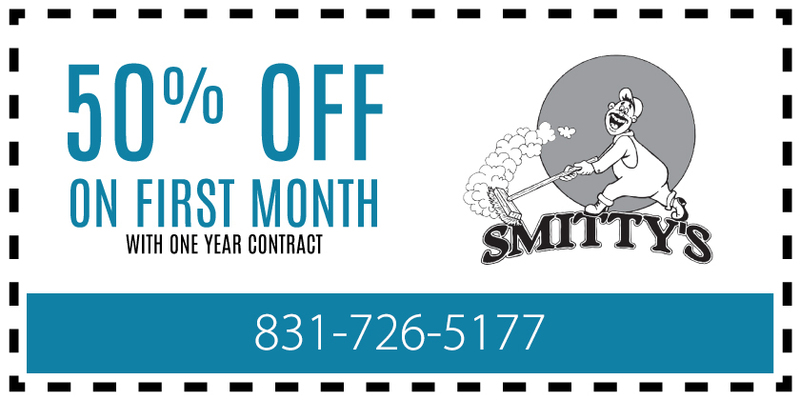 Smitty’s Janitorial is fully insured and bonded, providing liability and property damage coverage as well as employee bonding and all other applicable forms of insurance coverage. All employees are screened for your protection. They are neat in appearance and uniformed. To assist you in the event of an emergency, we can be reached via telephone 24-hours-a-day at 831-235-1500.